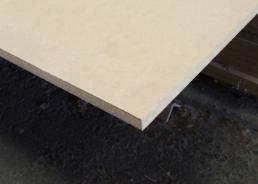 A medium density fiberboard which is wood fibers combined with resin. It is more dense than plywood and used in building applications. It is denser than particle board. This wood is also used for furniture, shelving and moulding. Available in 1/2″ and 3/4″ thicknesses. Sold in full 4×8 sheets only.